[2019 with DOS games] Castle Wolfenstein / Cadaver / The Chaos Engine – I ❤ Old Games! This is the third entry of the [2019 with DOS games] column, a mini-compendium of the mandatory MS-DOS games ever released. For a big part of my life I’ve been a PC games player and I had tons of old games to play with back in the 90s. This is my homage to them. The rules are simple. MS-DOS has been created in 1981 and was still available in computer until the early Noughties. However the release of Windows 95 acted as a break and everything before immediately becaome. So I can fairly tell that the DOS era goes from 1981 until 1985. [2019 with DOS games] will feature every two weeks a selection of three games, one for every five-year period (1981-1985, 1986-1990 and 1991-1995) in alphabetilac order that I consider either important, ground-breaking or simply fun and easy to play. I’ll try to consider only DOS-exclusive games or in case games spread on different platforms that have the PC version as a flagship. No claim of completeness, I’m not a human encyclopedia (unfortunately…). Let’s go with letter C.
in 2019 Wolfenstein is a well-established franchise with a lof of great games for every platform. My youngest readers will know Wolfenstein for the games released on the Xbox or on PS, and some of my age may recall the great 1992 hit Wolfenstein 3D. 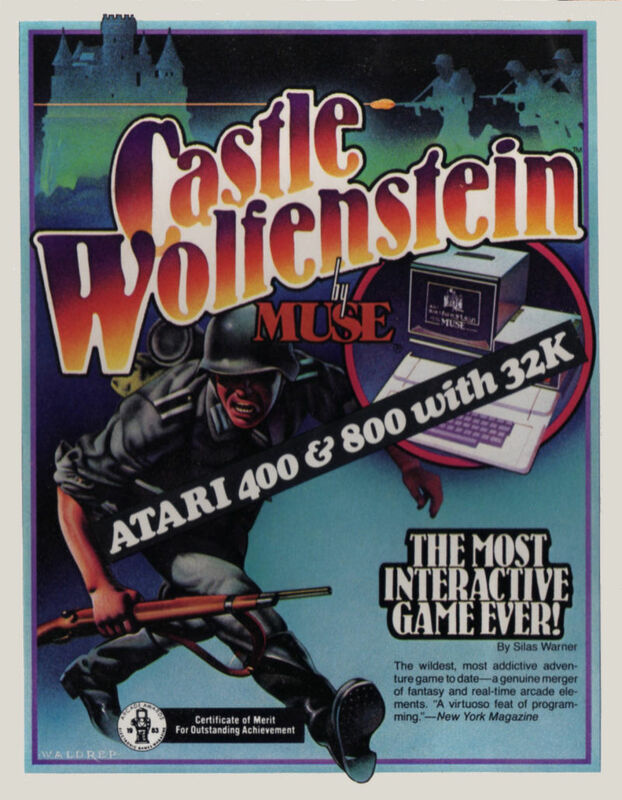 But the roots of the series go back to 1981 when the first game, Castle Wolfenstein, has been released. In 1984 it was ported on DOS and that’s the version I’m talking about today. 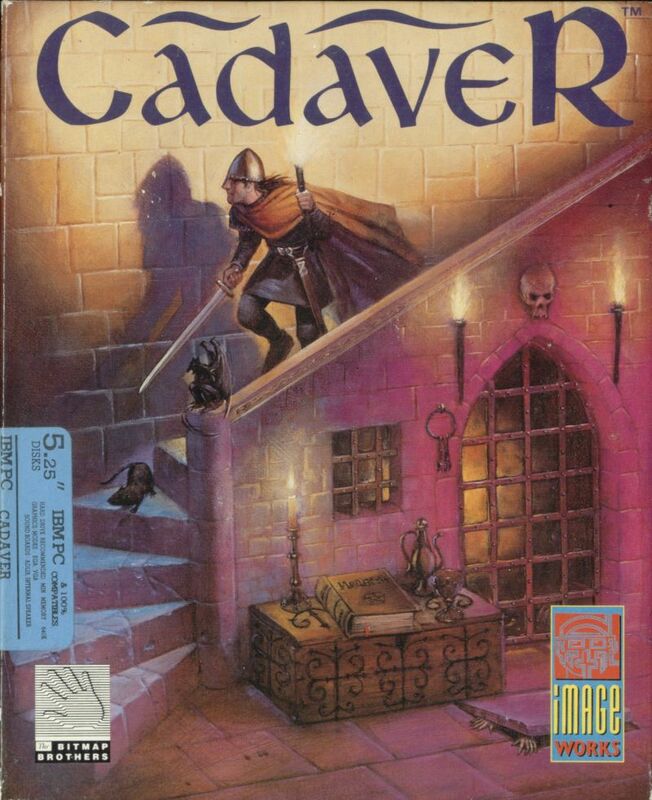 This is one of the first games to introduce a rudimental (very rudimental) stealth element, so it’s not only shoot, kill, repeat but you have to carefully think about your next step in your goal to collect documents and artifatcts of the titular castle, patrolled by the SS. The game is almost a one man show since it was developed by Silas Warner who also created “The Voice”, a software that generates the speech output on the Apple II. The protagonist of this game is the dwarf Karadoc in his adventure througout five levels (the five floors of Castle Wulf) full of puzzles to solve. 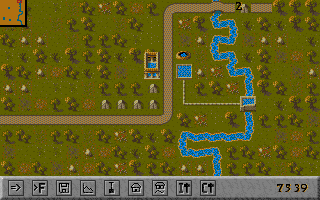 The game has great variety and the puzzles are sometimes tricky ensuring a long and pleasant play. It’s surely a game to try even in 2019 because it’s even held up pretty well. And Bitmap Brothers are always a warranty of class. 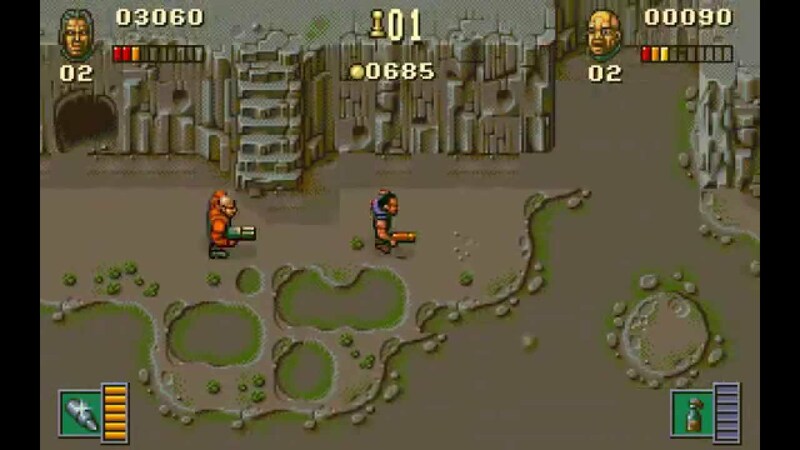 The Chaos Engine is a game that was a smash hit on the Amiga, as well as it was Cannon Fodder. There are several reasons why my favourite between the two is The Chaos Engine: the first, the most immediate is the visual. Graphicall The Chaos Engine has no rivals and the colourful and detailed settings are the kind of grpahics I love the most as the other 16-bit era ones. The second is the setting. The game is set in an alternate universe in which Baron Fortesque (an alter ego of Charles Babbage) developed a steampowered computer, the Chaos Engine, which rapidly became self aware, killed its inventor and started to create other machines for defense. 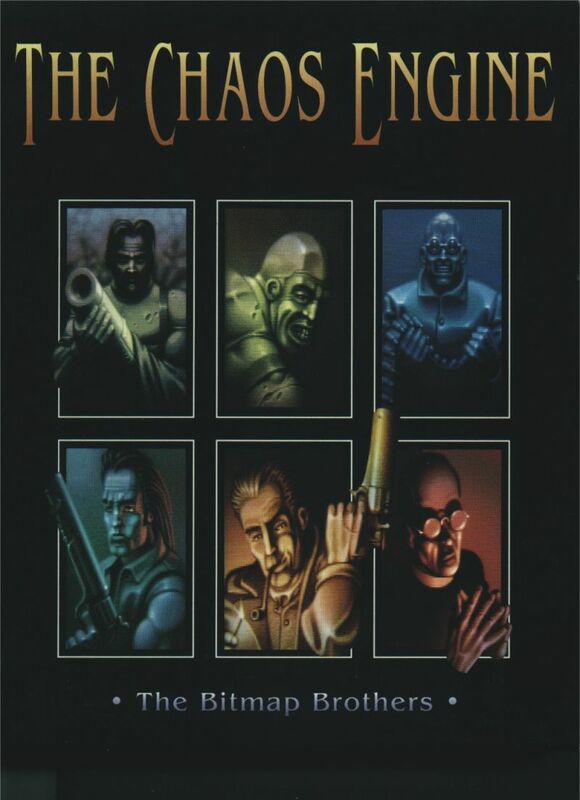 A group of mercenaries are tasked to get past all of the machines that guard the Chaos Engine and restore the peace. The game is impressive and I’m sure a lot of DOS and Amiga gamers have their fondest memory on this piece of art. It looks like this time there are a lot of games in the 1991-1995 period. I don’t know why, probably all of the games I had when I was young were compilations of games beginning with “C”. It has been really hard to choose only one game and The Chaos Engine can be considered just one of the bunch. During my teens I’ve enjoyed so many games of this list that to relegate all of them in the honorable mentions section it’s a crime. One of this games is Crusader: No Remorse. It’s been a year since I started to think about a review of this game that back in the days impressed me with its detailed isometric visuals and became one of my favourites Action/Third-Person Shooter/Strategic games. 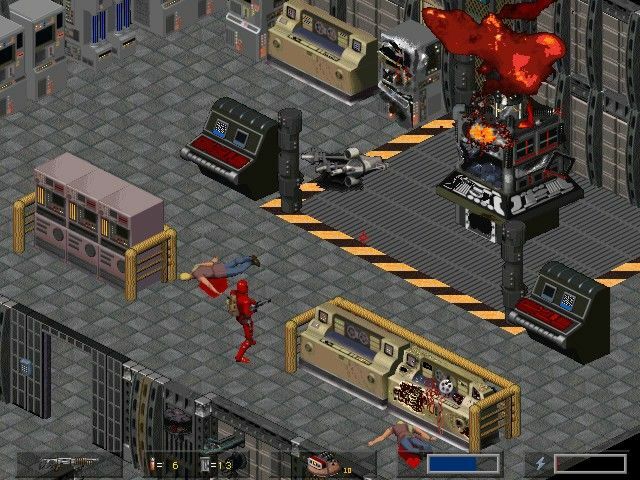 Unfortunately it’s hard for me now to write a review because I have no access to the game and the only CD I own with Crusader died last year, so unless I won’t be able to find a copy of the game it will be hard for me remember every single mission, since I’ve played it last time 20 years ago. 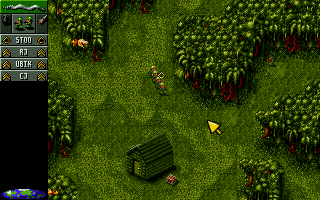 Another great game I had very good times with is Cannon Fodder. It was a smash hit on the Amiga but, since I’ve never owned one, I’ve played only the DOS version. I’m a huge fan of top-down games and this super neat RTS got me involved a lot of hours during my teen years. 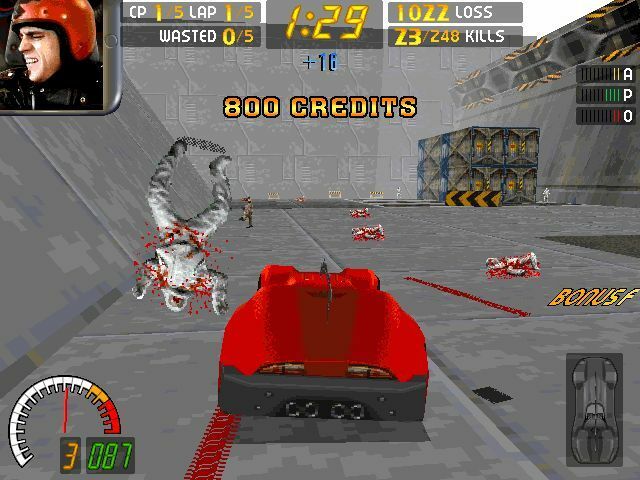 Another game I’ve played endlessly and I’ve completed only in recent times is Carmageddon, another game banned in some places that received harsh critics also here in Italy. Altough killing people and animals should’t be so fun, there’s somethin in Carmageddon that’s really fascinating. The abundance of power ups, the possibility to explore everytime a large “world” with a lot of pedestrians make the game less a racing game an more an excercise in finding all the weirdest places in a map full of danger. You know how much I love graphic adventures so it shouldn’t be strange that I love all of Chtulhu: Shadow of the Comet, based on the works of H.P. Lovercraft. It’s one of the few non-LucasArts and non-Sierra point and click I’ve enjoyed that much. This is probably one of the most underrated adventures of the early 90s, dominated by Lucas and Sierra and even though was praised by the critic I think today it doesn’t have the support and the cult following it deserves. 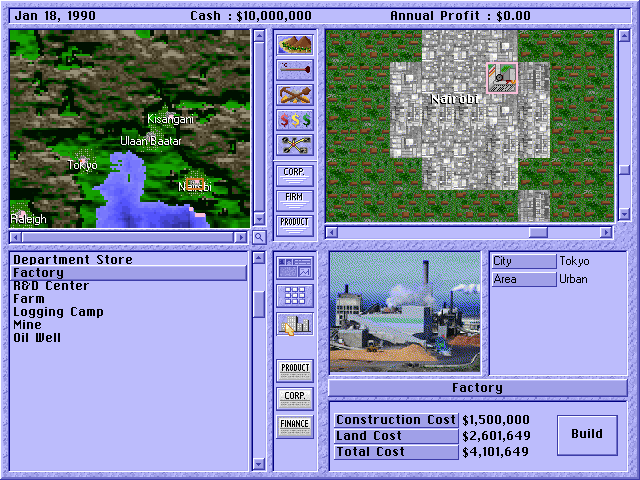 The last two game I’ve played a lot in the past are very similar: Caesar that to me looked like a SimCity set in the past and Capitalism, a SimCity on steroids. …and also I ❤ Old Games on Instagram! Some cracking games here. I remember playing the demo of Crusader a lot, simply because my parents wouldn’t buy me the game as it was too violent! It’s incredible how they thought games were violent back then. What would have done if they had seen the realism of modern games? I know. I can, to some extent, understand the concern some people have these days! Pingback: [2019 with DOS games] Dragonworld / Dangerous Dave / Doom – I ❤ Old Games! Pingback: [2019 with DOS games] Enchanter / Elvira: Mistress of the Dark / Eye of the Beholder – I ❤ Old Games! Pingback: [2019 with DOS games] F-15 Strike Eagle / Future Wars: Adventure in Time / Flashback – I ❤ Old Games! Pingback: [2019 with DOS games] GATO / Gobliiins / Guilty – I ❤ Old Games! Pingback: [2019 with DOS games] The Hobbit / Hero’s Quest: So You Wanto to Be a Hero / Heretic – I ❤ Old Games!